Members of the Ion Adventures team are trained specialists, who will assist you in planning and coordination your adventures in Iceland. Being locals of Iceland, we possess the knowledge and inside information of where to go, and what to see, during your stay on our beautiful island and we’re more than happy to share our expertise with you. 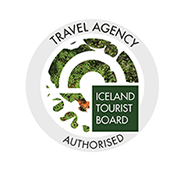 We work with experienced tour operators in Iceland to ensure your experience is a great one. Together we work out an itinerary, tailored to your needs, allowing you to experience the very best of Iceland, at any given season. Whether it’s before, after or during your stay, we remain readily available to assist you with anything you might need to ensure the best experience possible.